OK 59 is signed east-west but begins its journey at OK 39 heading southbound. 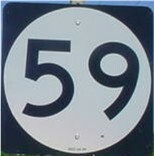 Eight miles south of the western terminus the highway heads east at OK 59B takes over the main highway. It then heads through Payne and then joins OK 24 for about a mile. OK 59 then heads east once again and intersects OK 74 and Interstate 35. U.S. 77 intersects OK 59 in Wayne. The highway then continues heading east and goes through Rosedale and Byars. The next major highway intersection is at U.S. 177, and OK 59A heads straight while OK 59 joins U.S. 177 heading northbound. Just west of Pearson U.S. 177 and OK 59 split. The highway now makes a few curves to the north and east and goes through St. Louis (Oklahoma, not Missouri!) and Maud before intersecting U.S. 377 and OK 99. 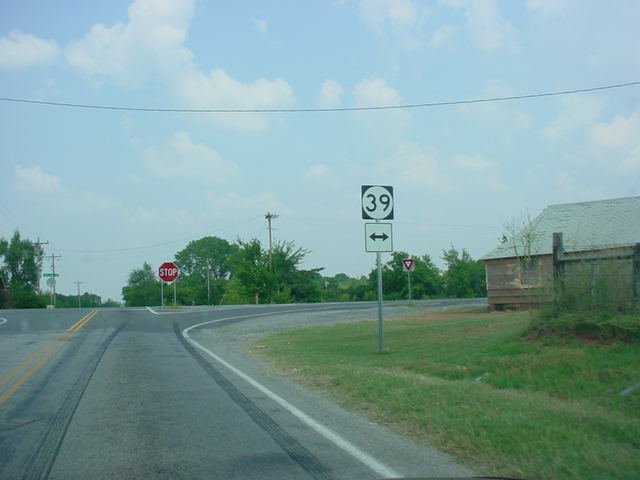 OK 59 then heads south along U.S. 377/OK 99 until the highways enter Bowlegs, then OK 59 heads off to the east again. 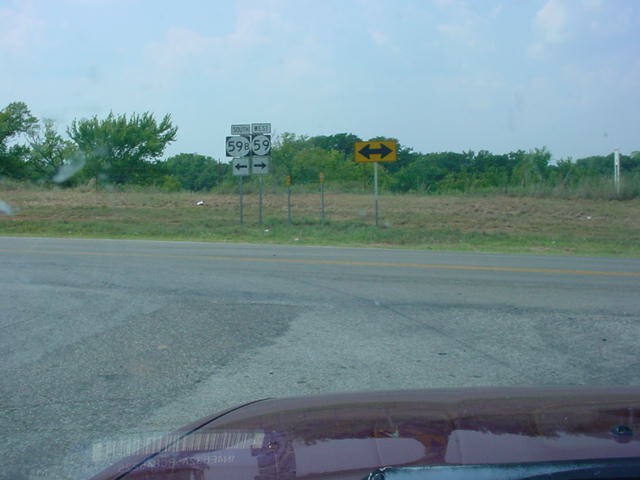 It intersects U.S. 270 west of Wewoka, heads through downtown Wewoka, and OK 59 ends its 93 mile journey at OK 56.
out. 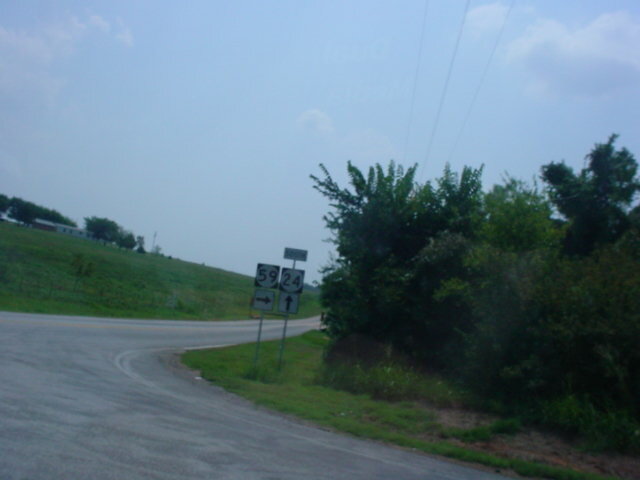 The next highway intersection is at OK 24 in six miles. U.S. 177 North/OK 59 East at OK 3W south of Asher. U.S. 177 South/OK 3W East/OK 59 West at OK 39 West. U.S. 177 South/OK 3W East/OK 59 West at OK 39 East. OK 56 and Business U.S. 270 in Wewoka.